Western Spirit Enrichment Center is a holistic retreat location that guides people on their personal journey of change, makeover, and development through well-organized workshops, thrilling outdoor activities, and enjoying Arizona sceneries. We are situated in the most stunning place in Sedona, Arizona. The tranquil setting is high above the Sonoran Desert and surrounded by the red rock cliffs, spires, bluffs, ranges from the towering mountain, and the largest adjacent forests of Ponderosa Pines. 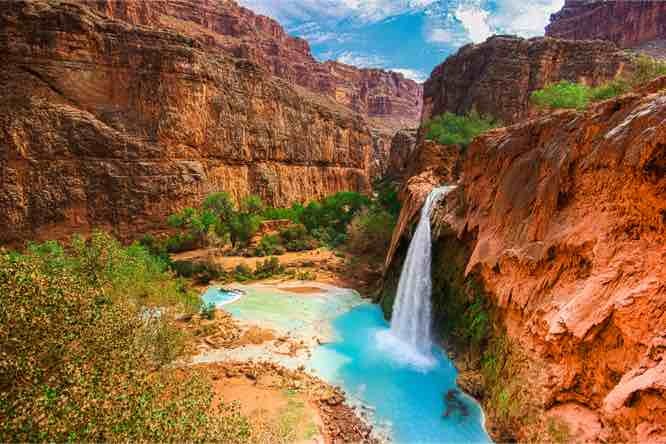 Our outdoor activities comprise of Grand Canyon and Sedona tours, which are fun and meant to spawn pleasure, and thrill. Also, the outdoor activities are designed to rekindle the feelings of liveliness and joy. We also offer entertainment and other services such as hiking expeditions, healing sessions, tales of American indigenous traditions, massages, yoga, and Tai Chi sessions. Our Western Spirit Enrichment Center was established by Gary Lowry and Marian Carol with the vision of creating a physically and spiritually haven for residents, and visitors to unite with nature and inner spirit. Visitors from all over the world who come for a retreat at the center go back home with a clearer revelation of their lives. The vision of our spiritual retreat is to equip you with skills and knowledge on how to improve your mental wellness and achieve a superior spiritual alertness. The goals and intentions of this spiritual retreat are to provide you with a chance to improve your life in an exceptional and thrilling way. We achieve this objective by holding organized workshops and retreats. The purpose of the seminars and retreats is to guide you into pathways of healings, motivations, and self-discovery, despite any religious settings. Our spiritual retreats are founded on the universal belief that God’s nature is love. Our Western Spirit Enrichment Center comprise of relaxed and cozy bedrooms. Each bedroom has a private bath and is independently designed to offer an affable, cherished, and southwest ambiance. Visitors are welcomed into their intimate rooms with scented candles, fresh flowers, fluffy, bathrobes, sweet chocolates, and body creams. Conversely, the Western Spirit Enrichment Center is fitted with the western outdoor decor that makes it a perfect relaxation spot. We ensure that everyone that attends our spiritual retreat experiences a fantastic and incredible week of a holistic journey by using a blend of outdoor activities filled with fun and a powerful self-realization journey. You will be directed to find out a life of love, peace, joy, which will allow you to attain a higher level of spiritual alertness through fostering a lifestyle of personal meditations. All you need to do is be open-minded to reunite with your real spiritual self through the spiritual retreats and motivational workshops that we offer.